Its crazy just to watch how much God is obviously at work in our student ministry! We had a powerful worship service this last Wednesday night of 125 teens worshipping Christ together. Many of them expressed how God changed their lives through the time in His Word that night. We had two teenagers get saved this past Sunday! We have three teenagers preaching the next three Wednesday night worship services! On top of all that, we have a huge event (CBSM All-Nighter) in April, and 3 huge events in the fall with the CBSM Beach Camp, BASIC Mission Trip to Detroit , and ADVANCE Mission Trip to San Diego . 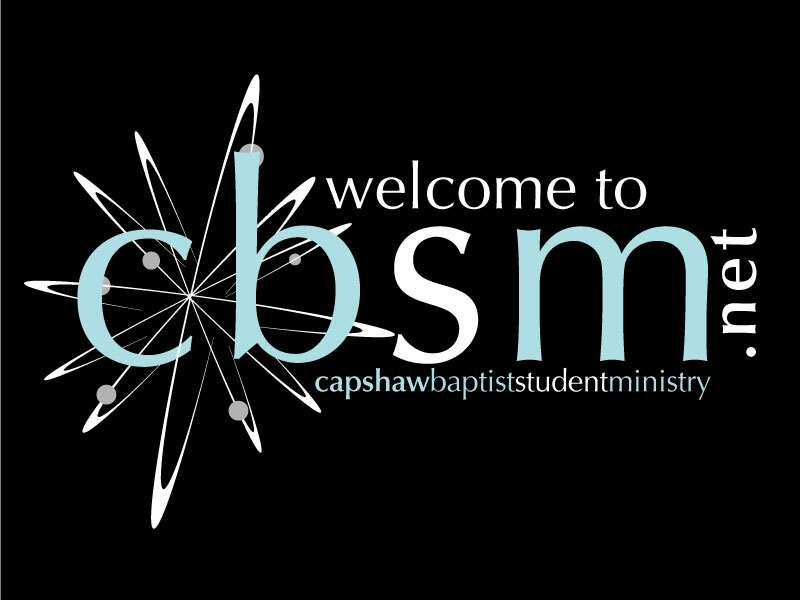 Please continue praying for Christ to be glorified as God is doing HUGE things in CBSM! This Wednesday we’ll continue our book of Job series called “Afflicted” with a special guest student speaker: David Munoz (sophomore at Sparkman High School ). The night is going to be a blast with an opening video, a game from minute to win it, powerful worship, and a challenging Word from the Bible. Keep inviting and bringing your unsaved/unchurched friends! This Sunday, we will meet in the student building at 9:15am for announcements, and then go to our small group rooms to discuss what God taught us and did in our lives on Wednesday night and through the week. This Sunday night our Student Ministry Teams will be in full-force, so make sure to contact your SMT leader for your team meeting time, place, and instructions! April 23 – 24: CBSM All-Nighter ($40). We will meet at the church at 7pm. That night we will have an intense worship service, go roller-skating, play laser tag, have all you can eat pizza, go play putt-putt, and then an all you can eat pancake breakfast… as we ride around in charter buses. June 26 – July 2: BASIC Detroit Mission Trip ($350). Check our blog for full details. BASIC is a mission trip to Detroit , MI for training students in missions and evangelism. It is for students currently in 8th grade (in Spring 2010) and up. Important BASIC dates: parents meeting (Feb 21), application due (Feb 24), first $100 deposit due (March 10), second $100 deposit due (April 11), and remaining balance of $150 due (May 13). July 17 – 24: ADVANCE Mission Trip to San Diego ($750). Check our blog for full details. ADVANCE is a mission trip to San Diego , CA for challenging students in missions and evangelism. It is for students currently in 10th grade (in Spring 2010) and up. Important ADVANCE dates: parents meeting and application due (noon Feb 7), first $100 deposit due (Feb 17), $300 deposit due (April 11), and remaining $350 balance due (July 11). YOUTUBE: Go to youtube and search “cbsmMEDIA” for all our new CBSM videos. SERMON VIDEOS: You can go to http://www.vimeo.com http://www.vimeo.com and search “cbsmMEDIA” to see our sermon videos uploaded so far.